January 2016 – Happy New Year! With all that happens at the dawn of a new year, we thought it was a great and symbolic time to announce our new brand: VOLO Athletics. The name has a multidimensional meaning. In other languages VOLO relates to a desire or a want (i.e. – volition), as well as to go quickly or to fly (i.e. – volare). These meanings capture the essence of our products as we aim to provide athletes and conscious consumers with ethically sourced performance soccer balls. 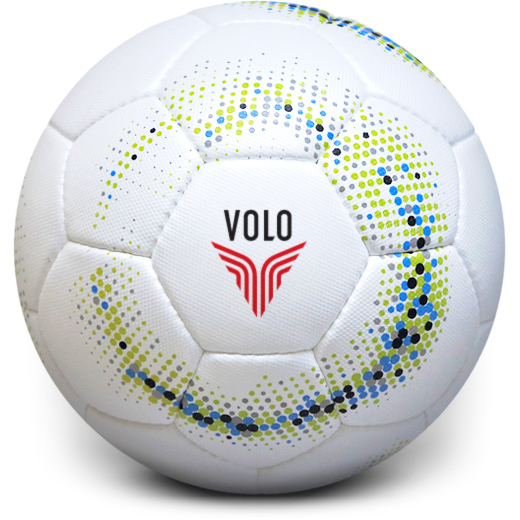 The balls themselves are sporting an attractive new pattern and as both a Fairtrade Certified and FIFA Performance Soccer Ball, VOLO Athletics delivers quality and principled performance. Over the past 5 years, under our previous brand VOLO Athletics Company, we have distributed thousands of fair trade soccer balls to customers of every stripe including universities, schools, retailers, clubs, international non-profits, corporations and individual players, literally around the world. We’re excited to take our products to greater heights under our new brand: VOLO Athletics.